ESL One Cologne 2015 may be a week away, but you have two ways to support your favorite teams and players right now! 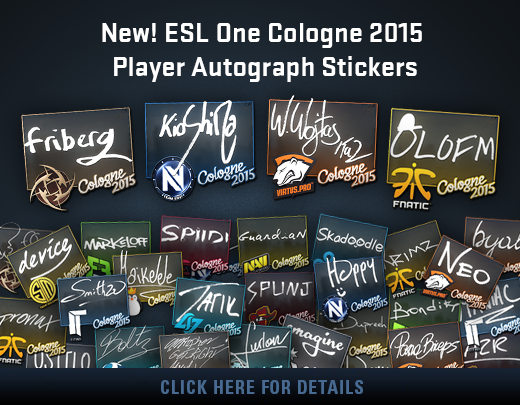 Introducing the all new ESL One Cologne 2015 Player Autograph Stickers, available for purchase in-game or from the Steam Community Market. These stickers are autographed by professional CS:GO players, with 50% of the proceeds going to players and organizations. You can also support your favorite team by purchasing ESL One Cologne 2015 Team Stickers in-game or from the Steam Community Market. Just like all previous team stickers, 50% of the proceeds from sticker sales go to the organizations. In addition to showing your support for your favorite teams, team and player autograph stickers serve as game pieces for the Team and Player Pick’Em Challenges, respectively. In the Pick’Em Challenge, your goal is to score as many points as possible by correctly picking winning teams and top players as the tournament progresses. You’ll score points whenever you make a correct pick, and your scores for the Team and Player Pick’Em Challenges will be added together with your total score determining your reward. What reward, you ask? 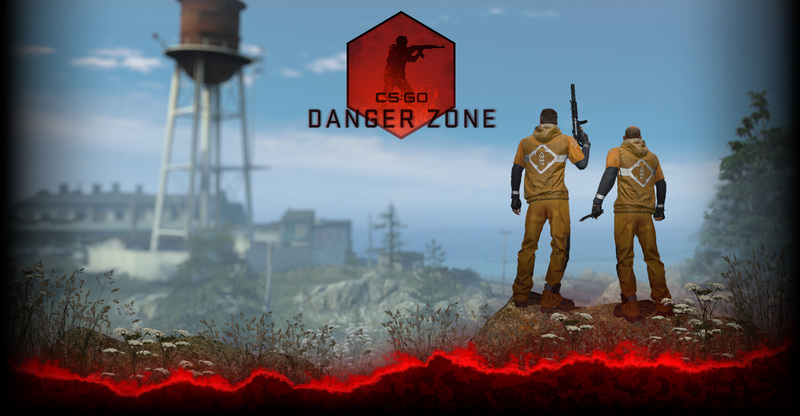 You can earn a Bronze, Silver, or Gold Pick’Em Challenge Trophy by scoring 25, 50, or 75 points, respectively. Pick’Em Challenge Trophies are badges that are displayable on your CS:GO avatar and on your Steam profile. In addition to winning a trophy, you can compete with your friends on the Pick’Em Friends Leaderboard. Stay tuned for more info as we march toward CS:GO’s biggest Major yet!